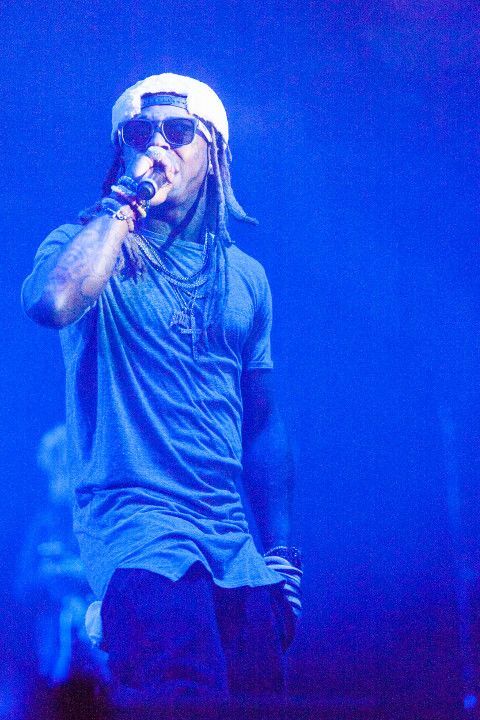 Lil Wayne just settled his multi-million lawsuit against Birdman and Cash Money. Now, he has lanuched a new multi-million suit ($20 million to be exact), except this time, he's dragging his former attorney to court. The reason? Well, there are a few. Wayne trusted attorney Ronald Sweeney to handle his business affairs for the last 13 years, but it seems the lawyer was not working in the best interest of his client. Sweeney was robbing Weezy right in front of his eyes, if what Wayne claims is true. Apparently, Sweeney charged the rapper DOUBLE the industry rate and - according to Wayne - racked up a cool $20 million off of him. Sweeney also got a nice payout for litigation in the Cash Money lawsuit over Tha Carter V. And now, Wayne wants his COIN. Wayne is suing Ronald Sweeney -- who repped him from 2005 through Sept. 2018 -- because he says the attorney was charging some hefty fees. In the docs, obtained by TMZ, Wayne says Sweeney charged him 10 percent for every deal he helped close. The problem is ... Wayne claims Sweeney failed to inform him the industry standard is a mere 5 percent. That up-charge cost Wayne a bundle -- he says Sweeney made $20 million during his tenure. According to the docs, Sweeney got pretty greedy ... proposing he get an additional 10 percent of all profits from Wayne's label, Young Money -- but Wayne says that was swiftly shot down. Still, he says Sweeney even brought in outside help. In the suit, he says Sweeney hired another law firm to aid in the litigation with Cash Money over the 'Carter V' deal. Wayne says that firm got 23 percent of the Cash Money settlement and 15 percent of the Universal Music Group settlement. Those numbers clearly stick in Wayne's craw because he says all that was on top of Sweeney's inflated 10 percent. Sheesh! This man made sure he got his cut AND some. Let's see if the "Uproar" rapper will come through with another victory. Rapper Tekashi 6ix9ine has been sitting in federal prison since November 2018 on racketeering charges. Now, it's being reported he's snitching on his homies. According to reports, three men who are known associates of 6ix9ine have been hit with federal indictments. 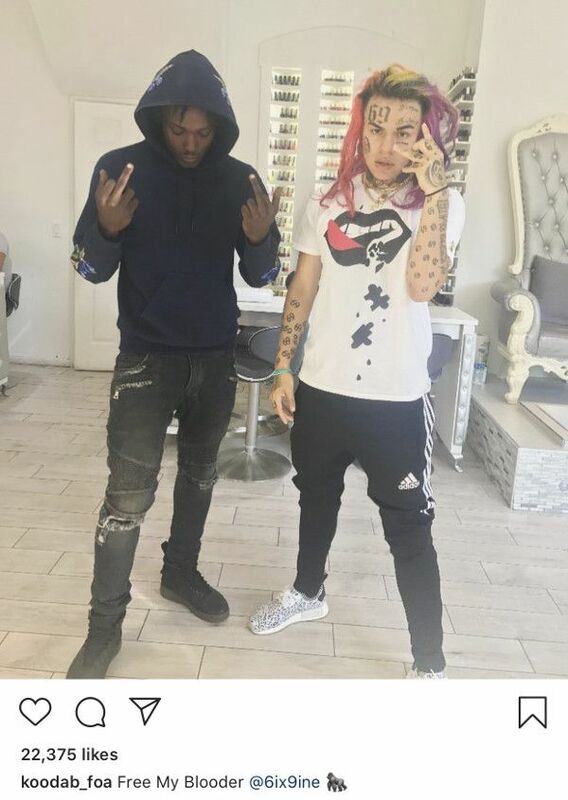 It's said Tekashi has been bumping his gums behind bars and revealed who was behind the gun for the Chief Keef shooting. He apparently told law enforcement that his homie Kooda B (above) was the trigger man at the Times Square shooting last summer. So who paid Kooda B? That's what law enforcement is still trying to figure out. It's rumored (unconfirmed) Tekashi was the one who ordered the hit on Chief Keef. So him pointing the finger elsewhere is, interesting. A conversation between 6ix9ine and Chief Keef's cousin Tadoe leaked in a video that police believe was connected to the June 2018 shooting. Based on what was said in the clip, police believe that Keef's cousin Tadoe was the original target. "I got a 30 pack on him, right now, Blood," 6ix9ine brags in the clip. "30 pack. Swear to God I got a 30 pack. Thirty-thou cash, right now." A month later, Chief Keef, Tadoe and crew were shot at outside the W Hotel in NYC.